On Tuesday, the Mauna Loa Observatory recorded its first-ever carbon dioxide reading in excess of 410 parts per million (it was 410.28 ppm in case you want the full deal). Carbon dioxide hasn’t reached that height in millions of years. 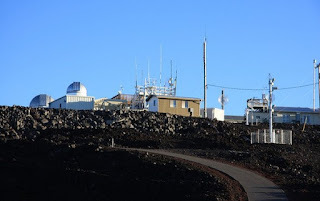 It stood at 280 ppm when record keeping began at Mauna Loa in 1958. In 2013, it passed 400 ppm. Just four years later, the 400 ppm mark is no longer a novelty. It’s the norm.